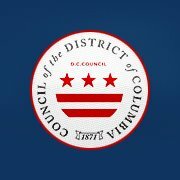 This February, 2019 newsletter contains some big news on the Community Center along with information on topics such as: upcoming parking changes for Military Road, a proposed new Capital Bikeshare Station at the site of the Chevy Chase Farmers Market, an upcoming Chevy Chase Citizens Association sponsored Happy Hour, a new MPD Second District Commander, a newly created ANC3/4G Twitter account to follow, and much more. If you aren't already a subscriber to this newsletter please do subscribe. Ideas, comments, suggestions and concerns can be emailed directly to me at: Jerry Malitz. Move parking signage 40’ to the east and west along the southside of Military Rd. at Chevy Chase Parkway. Move parking signage 20’ to east and west along the southside of Military Rd. at the 5333 Connecticut Ave. access point. Move parking signage 30’ to the east beginning on the southside of Military Rd. east of Connecticut Ave., creating additional separation for the eastbound through lane deflection. Remove the small parking zone on the west curb of Chevy Chase Parkway (between the driveway and Military Rd.). Painted parking boxes will be erased to match new sign placements at these locations. The pedestrian pylons at the Chevy Chase Parkway crosswalks will be replaced. The speed limit sign along eastbound Military Rd. 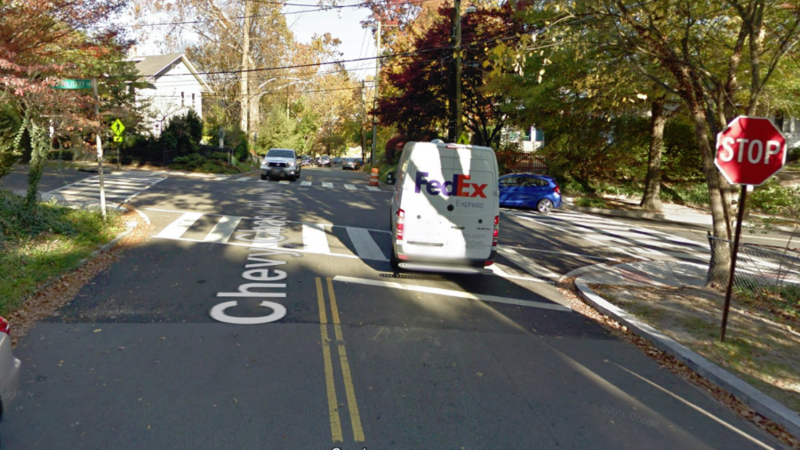 west of Chevy Chase Parkway will be removed from the post with the pedestrian warning sign and posted separately. Among the assignments for 2019 are the following for Ward 3 & 4 Councilmembers. Ward 3 Councilmember Mary Cheh- Committee: Committee on Transportation and the Environment. Notable agencies: Department of Energy and Environment, Department of Motor Vehicles, Department of Public Works, District Department of Transportation, District of Columbia Water and Sewer Authority, Leadership Council for a Cleaner Anacostia River, Major Crash Review Task Force, Pedestrian Advisory Council. Cheh had two agencies (Department of General Services and Department of Parks and Recreation) stripped from her committee and divided to create new committees for Councilmembers Trayon White and Robert White. Ward 4 Councilmember Brandon Todd - Committee: Committee on Government Operations. Notable agencies: Executive Office of the Mayor, Interfaith Council, Mayor's Office of Legal Counsel, Office of Human Rights, Office of Community Affairs, Office of Lesbian, Gay, Bisexual, Transgender, and Questioning Affairs, Office of Public-Private Partnerships, Office of the Chief Technology Officer, Office of the City Administrator, Office of the Inspector General, Secretary of the District of Columbia. Todd had the Commission on Fathers, Men, and Boys removed from his committee. Additionally, Councilmember At-Large Robert White now serves as the Chair of the Committee on Facilities and Procurement which includes oversight of the Office of Advisory Neighborhood Commissions. D.C. government agencies are now using mobile apps more than ever to try and connect with residents, share information and provide other channels for customer service. 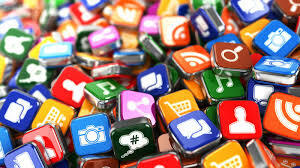 These apps include those for parking, 311, fire and EMS, and Ask DC. In addition to this collection of mobile apps you might also want to check out the D.C. Government Resource Center which has many useful links. Beginning on January 28 and ending on February 28, DC Circulator bus rides will be absolutely free. The free rides (regularly $1) are part of Fair Shot February, an initiative to make it easier for Washingtonians to get where they need to go to take advantage of opportunities around the D.C. 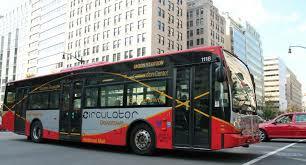 There are six Circulator routes in the DC. Join fellow D.C. senior residents on Monday February 11 at 12pm for a special budget engagement telephone townhall forum to share your values, priorities, and ideas with the Bowser Administration as the FY20 budget is developed. Call in numbers are: (855)-756-7520 Ext.38887# (English), and, (855)-756-7520 Ext.38888# (Spanish). Additional in-person forums will be held throughout D.C. from February 21-25. There are a number of programs and events throughout Northwest DC that bring older adults together. 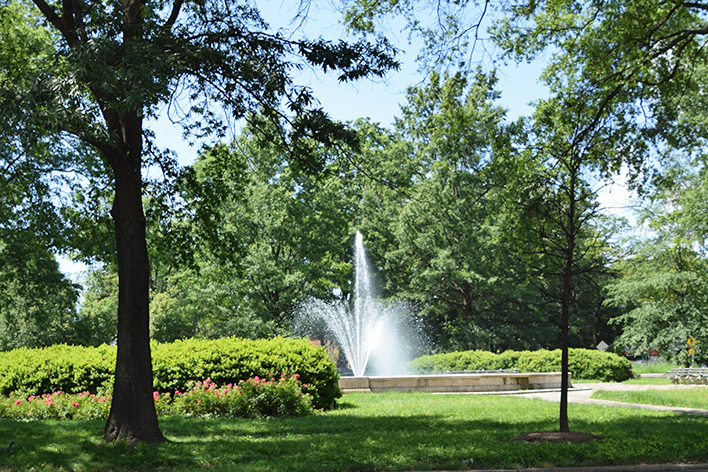 If you are 60 and up and seeking new ways to tap into neighborhood resources, meet new people, stay fit, or simply enjoy recreational and wellness programs you might want to check out Around Town DC. This online directory pulls together programs, events, activities, and other activities primarily in Wards 2 and 3 so that in one location you can find programs that match your interests or location. Two major activities took place recently in regard to the forthcoming modernization of the Chevy Chase Community Center. On January 10 the Request for Proposal (RFP) was issued for architectural/engineering services and that was followed up by a pre-proposal conference on January 16 which attracted approximately 70 individuals representing many firms which will likely lead to a very competitive process. 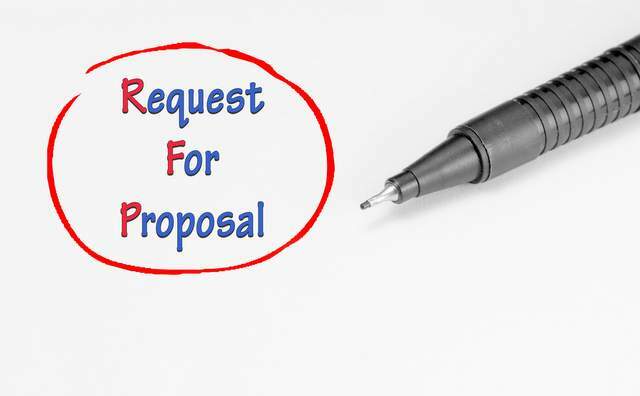 Proposals are due in the beginning of February with an anticipated award date of mid-March and a final design schematic due 6 months later and construction to start a few short months after that. Following the award of the contract the ANC will begin to review the design process through a committee that Commissioner Fromboluti (3G-07) will lead. Other Commissioners and residents will be on the committee as well, and the committee will report to the full Commission. The community will be invited to meetings and to make sure that we get what we need from the design. In addition to the design and construction the ANC has been busy compiling information for existing programs to help in the process to identify transitional space needed for current Community Center programs during the construction period. 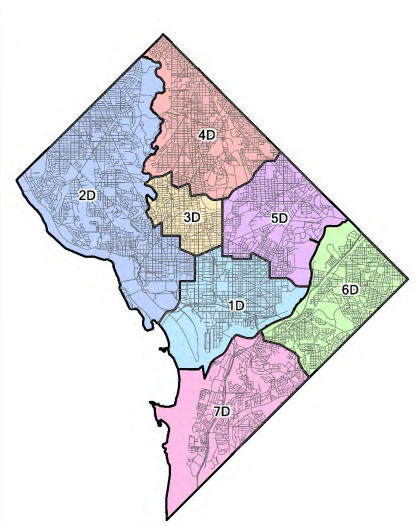 An initial meeting has been scheduled between ANC3/4G Commissioners and DPR representatives to begin this process in full. 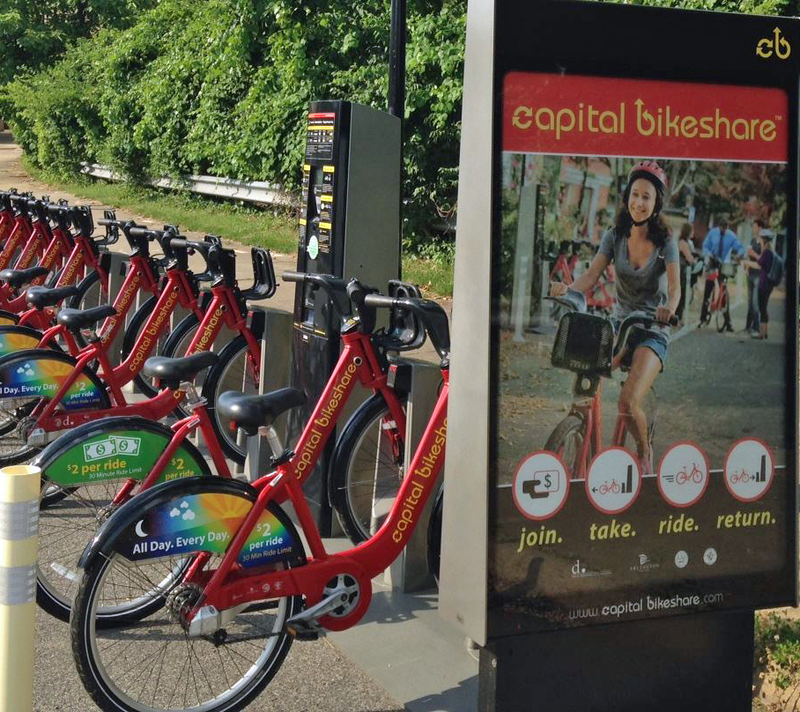 At its January 28th meeting ANC 3/4G passed a resolution (7-0) to support a petition which calls for the installation of a Capital Bikeshare Station at the site of the Farmers Market at Lafayette Elementary School. The petition which was presented by Josh Rising was signed by approximately 175 residents - from an estimated 150 neighboring households - asking the Commission to urge DDOT to add Lafayette Elementary School to the Capital Bikeshare program. The next step is for DDOT to reach out to DCPS/DGS and then conduct a site visit. 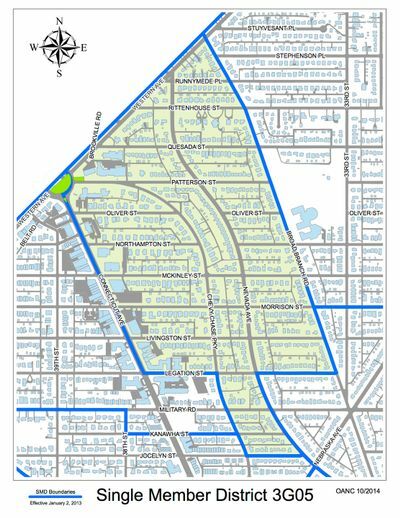 For 2019 MPD has modified their district boundaries. For the second district of which we are part there were zero reductions. The additions are: from 1D: 9th S. NW-14th St. NW & Constitution Ave. NW Mass Ave NW & L St NW. Additions from 3D: 14th St. NW-Massachusetts Ave. NW-L St. NW City Center). In addition, they also announced a new Second District Commander, Duncan Bedlion. Commander Bedlion was introduced and made a brief presentation at the recent January 28 ANC 3/4G meeting. Among the items of interest that he presented were that in 2018 of the 408 stolen automobiles 131 of them were stolen by using keys. 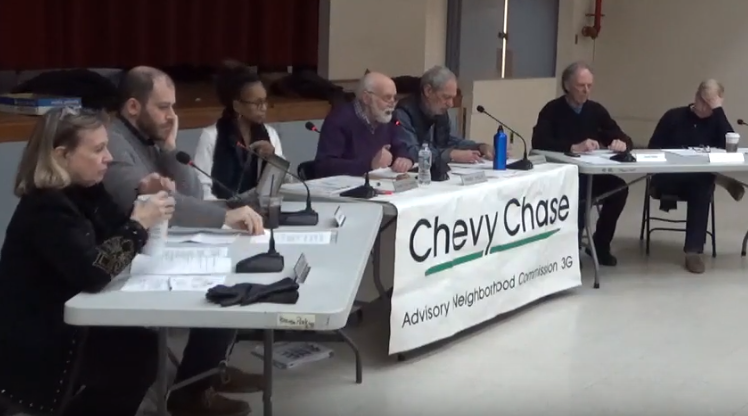 The January 28th regular meeting of ANC 3/4G is available to view on YouTube. Meeting items included a vote in support of the installation of a Capital Bikeshare station at the site of the Lafayette Elementary School Farmers Market, votes on ANC grant applications (Northwest Neighbors Village, Wilson Crew, and Ch/Art), an update on the Chevy Chase Community Center renovation and release of accompanying RFP, and the introduction of the new MPD Second District Commander Duncan Bedlion. Presentation by WMATA on and discussion of restoration plans for the bus turnout at Connecticut Ave. and Oliver St. Discussion on a public space permit application by Little Beast Bistro (5600 Connecticut Avenue, NW) to install an awning on its McKinley Street sidewalk cafe. Discussion on testimony on the Department of Energy and the Environment’s proposed Clean Rivers Impervious Area Charge (CRIAC) relief emergency regulations. 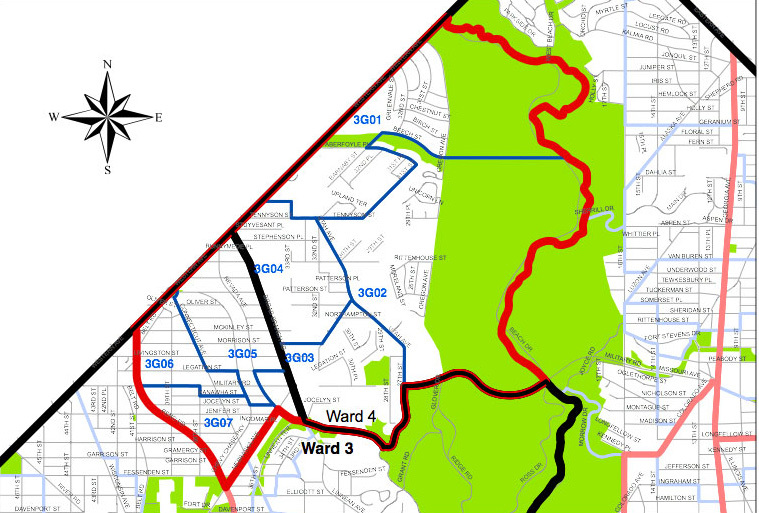 Regular ANC3/4G meeting agendas are posted prior to every meeting. Minutes of previous meetings are also posted on the ANC website, and you can catch up on all the proceedings by watching video recordings of our most recent and past meetings on our YouTube channel ANC3G and while you are there please subscribe. All ANC meetings take place at the Chevy Chase Community Center.